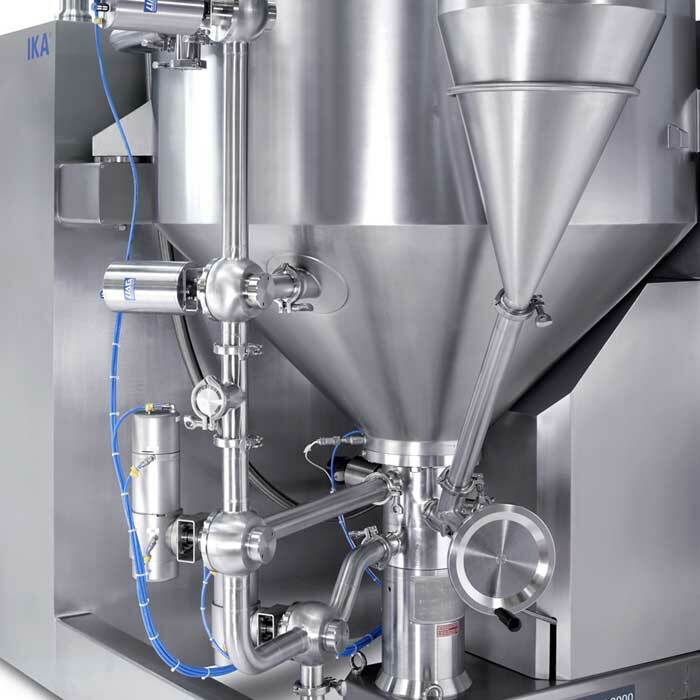 The high shear mixing and dispersing machine DBI 2000 is suited for batch operations with a recirculating loop and is directly mounted to the vessel bottom. 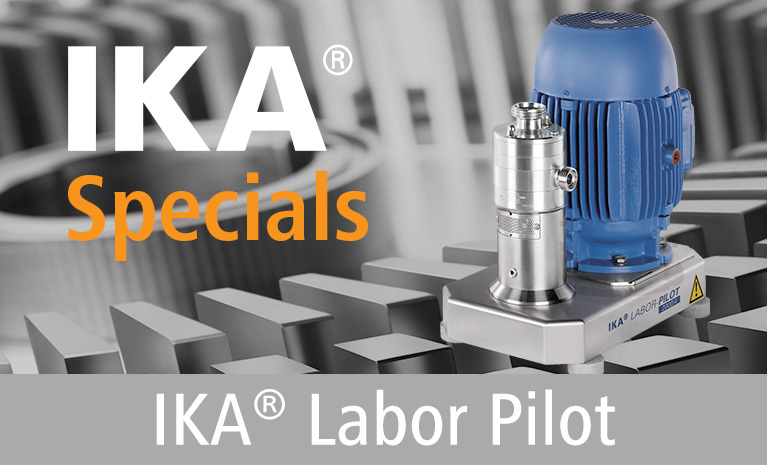 It enables suction, pumping, and self-cleaning under CIP conditions. 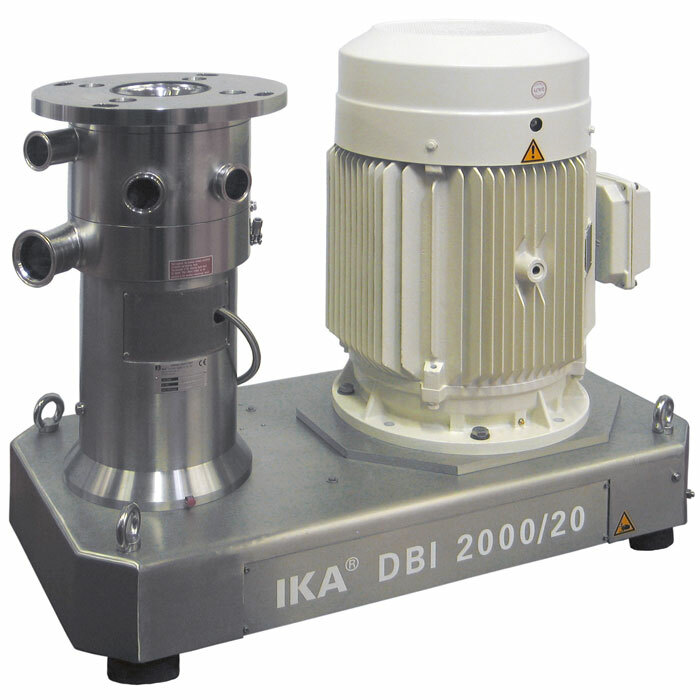 The dispersing machine DBI 2000 has a patented two-stage design. This allows for it to be mounted onto a production plant in such a manner that the product is transferred through either one or both stages. 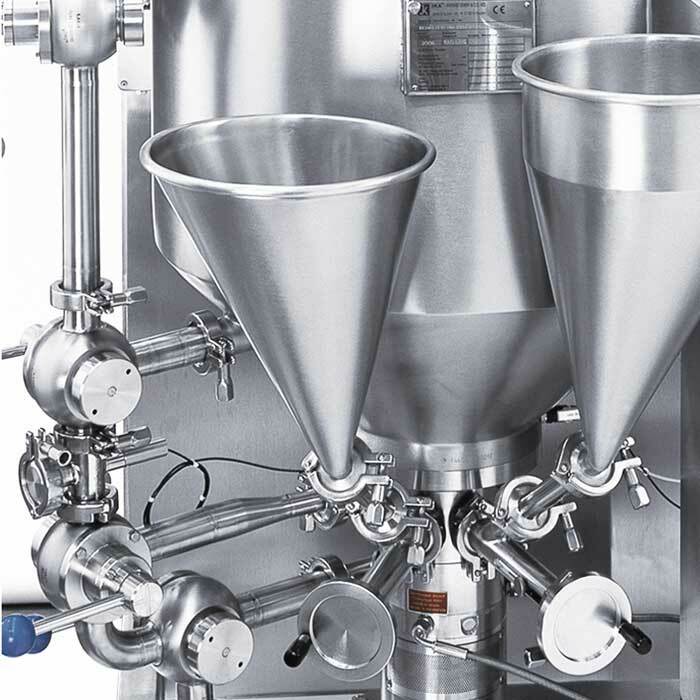 The first level has a bottom stirrer and a special pump rotor that creates turbulence in the vessel and high circulation capacities, even for highly-viscous products. The second stage of the dispersing machine DBI 2000 is equipped with a rotor-stator system that ensures qualitative homogenizing and tight particle size distribution. 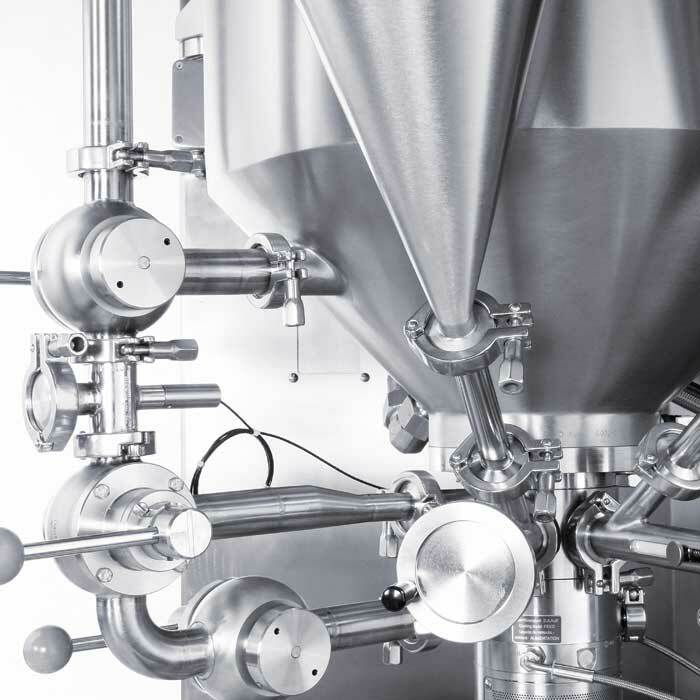 The suction of powders or liquids directly into the mixing chamber is possible without an additional vacuum pump.